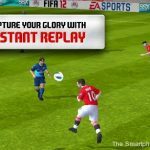 We reviewed the iPhone version of this game a long time ago, but we thought it was only fair that we return and take a look at the Android version, as it does have some notable differences from the iOS iteration that we think Android football/soccer fans should know about before parting with their cash. After all, this Android release is far more expensive than the iPhone version. So, you would think it must surely add some extra content and features to justify the extra cost? You would think so, but in a similar fashion to PES 2012, which shipped for Android with missing multiplayer that was present and correct in the iOS version, here Android football fans are again being charged more for less. The first thing I have to mention is that there has been no multiplayer mode added to this Android release, which is as maddening as it was on iPhone, but that loss has been compounded by an even more mystifying omission- manager mode. Yes, you read that correctly, the brilliant career and manager mode has disappeared from this version. 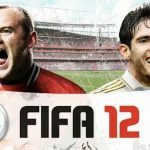 The only reason I can think of for its absence is because EA have to host the extra data download, and a manager mode would have increased this a lot, but whatever the reason it is a major feature that is missing from FIFA 12 for Android. Many an Android Website would be appalled at this loss, and I am sure many Android fans will be equally upset. 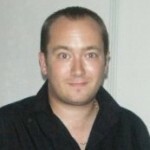 There are a few more problems, of a technical nature that I should mention. First of all, the sound has major issues, with crowd and commentary cutting off for no reason at all in the middle of games, and there is also the issue of Ice Cream Sandwich. If you are running ICS, I wouldn’t recommend trying this game, as there have been many problems for ICS users. Aside from all that, the experience is similar to the iPhone version. The games plays just the same, that is to say one of the best playing football and soccer games money can buy. The graphics do seem to have been reduced in detail somewhat, but nothing that you would notice. Overall, what we have here is a hobbled version of an excellent football game. There is still no multiplayer, and the loss of the manager mode is critical and a genuine shame for Android users. The fact that this is more expensive than the iOS version is actually a bit insulting to Android fans, and as such it deserves its low score. 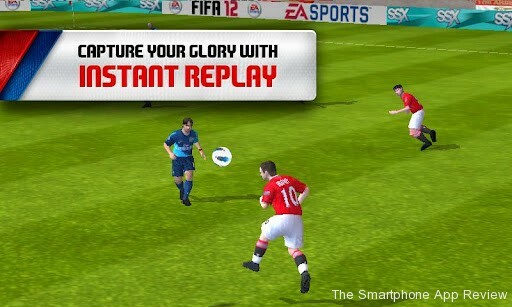 Check out our reviews of PES 2012 for Android, and Football Manager 2012 for iOS!